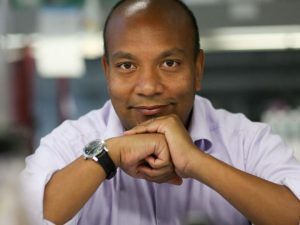 Scientists working to understand the mechanics of biological systems now commonly carry out OMICs studies to map the roles of and interplay between genes, proteins, RNA, and other molecules. Sophisticated computational platforms are available to analyze the data from large-scale OMICs screens, but using such complex tools may be beyond the capabilities of laboratory researchers, and rely on highly trained computational scientists. To help make this wealth of data more accessible and insightful to researchers at the bench, collaborating scientists at Sanford Burnham Prebys, the Genomics Institute of the Novartis Research Foundation (GNF), and the University of California, San Diego (UCSD) have released an open-access, web-based portal, called Metascape, that integrates more than 40 advanced bioinformatics data sources, and which can provide the results to key biological queries in just a few clicks. A number of gene-list analysis portals have been developed to help researchers interrogate their OMICS data, but as the team commented, “multiple portals are required to accomplish a complete systems-level analysis workflow, leading to a fragmented user experience.” They give as an example, a situation where a user analyzing proteomics data may need to employ one tool to convert protein identifiers into gene symbols, another tool to perform pathway enrichment analysis, a third to assess protein interaction network, and then yet more tools to generate visualizations of the data.” Users will need to learn how to use each platform, and how to integrate data from different types of analyses and file formats. 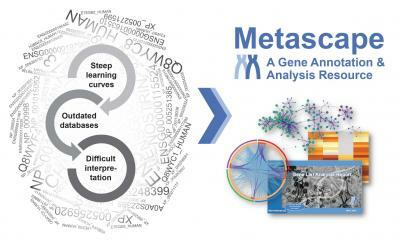 The team has developed Metascape to harness what they describe as “the best practices of OMICs data analyses to have emerged over the last decade into one integrated portal.” Users can access Metascape as web-based portal that integrates more than 40 open access bioinformatics databases, and enables integrated, simplified workflows for searches, gene annotation, and comparative analyses. In their published paper, the team demonstrated the features and capabilities of Metascape using three prior genetic screens of flu that were investigating factors involved in viral replication. The Metascape workflow integrated and analyzed data from the 40 included database spanning 10 common model organisms, and produced an easily understood report in about a minute. The team acknowledges that larger datasets may take longer to process. Analysis tools can be accessed through a one-click Express Analysis interface, and results are communicated by way of an “article-like analysis report,” the team explained. Key data could be visualized using PowerPoint, Excel, and other reporting formats, automatically. To ensure that Metascape’s data remains as up to date as possible, the workflow incorporated a two-phase approach based on an initial, automated data craw of sources, followed by manual quality control. “In the first phase, individual data sources are automatically crawled, wrangled, and assembled according to a predefined topological order of dependence, where gene identifier resources are processed before dependent annotation resources.” Any significant changes or unexpected errors trigger an alert to the Metascape quality control developers. The Metascape developers are now turning to artificial intelligence to further increase the depth of knowledge and insights that can be provided by the platform. “By applying new machine learning tools to Metascape, we can help biologists uncover more nuances in their data that help scientists even better prioritize the direction they want to take their research,” said Zhou.